By Caz | December 31, 2018 | This post may contain affiliate links, which means we may receive a small commission, at no cost to you, if you make a purchase through a link. Read our Disclosure. 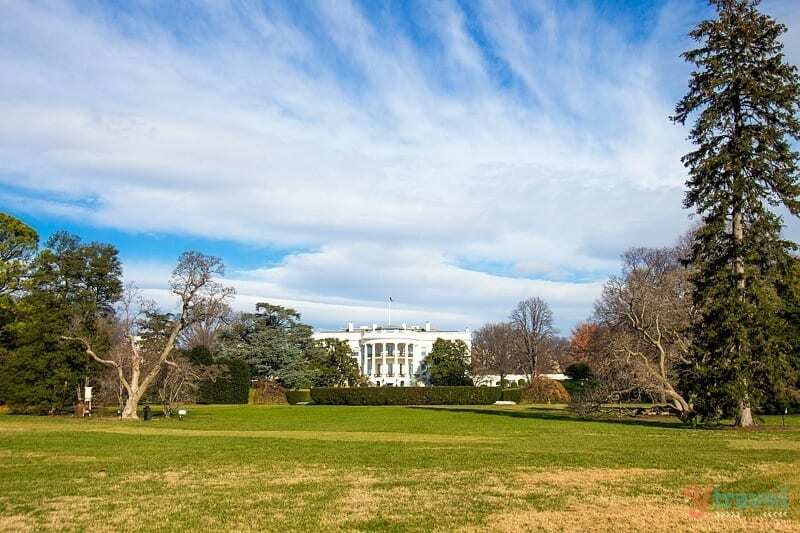 The President may live here alongside many diplomats and bureaucrats in their fancy motorcades, but that doesn’t mean you need a champagne budget to visit Washington D.C. 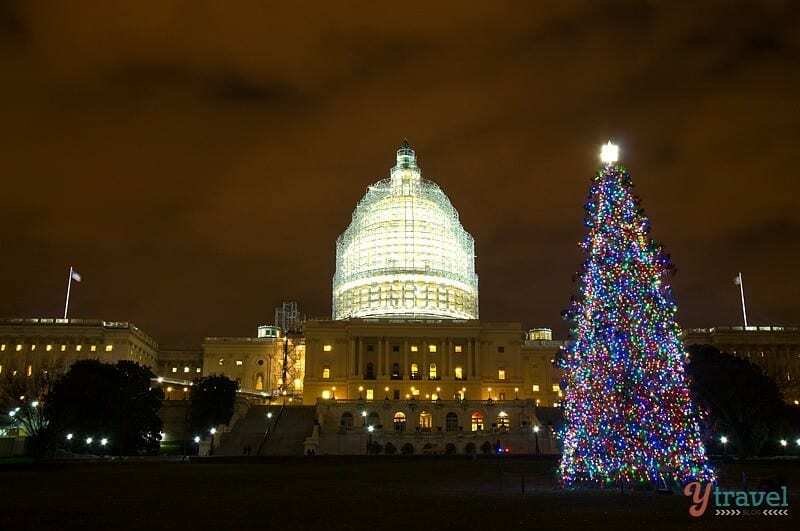 The US Capitol is a fantastic destination for any traveler, particularly those on a budget. We love how easy DC is to get around on foot (yes even in the winter – just pack your UGG boots and a good coat and scarf), and discover the many cheap or free things to do in Washington D.C.
Washington D.C. is growing in popularity for travelers and was recently named as number 1 city in the Lonely Planet Best in Travel for 2015. It’s time to visit there now. 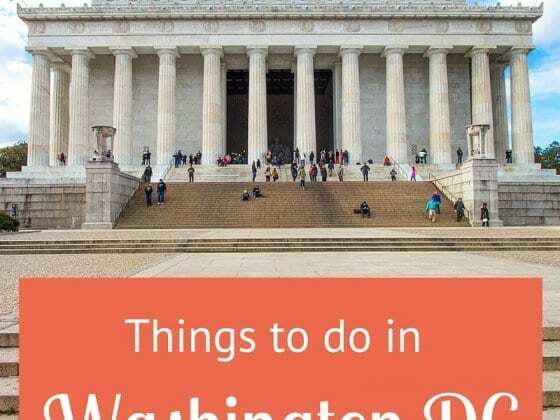 Free & Cheap things to do with Kids in Washington D.C.
Cheap Places to Eat and Drink in D.C.
Budget Places to Stay in Washington D.C.
DC. by foot offer free (or pay what you want) walking tours. They have a wide range of tours available including the signature National Mall tour, Capitol Hill Tour and a U Street Food Tour. Smithsonian museums are all FREE, so pop on down to the National Mall and do a Museum crawl. They cover all you need to know about history, art, nature, space, history, nature, art, and more, you’ll never be without something to learn. Tour the U.S. Capitol for free! Hour-long tours are conducted from 8:50 a.m. to 3:20 p.m., Monday through Saturday. Tours of the U.S. Capitol are free, but tour passes are required. Find out more here. 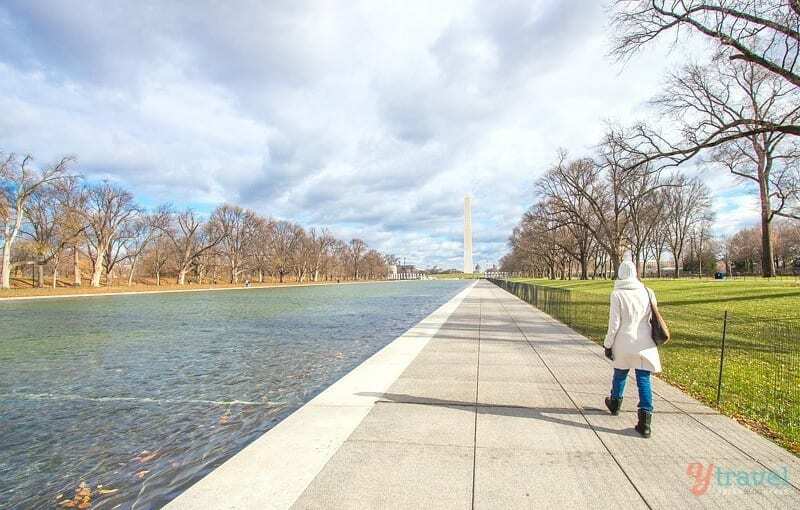 This Washington DC half day tour includes priority access to the Capitol building. No long lines for you! Touring The White House is doable if you plan ahead: tickets are available on a limited basis. Overseas visitors must contact their embassy in Washington, and US citizens must approach their member of Congress. Note that requests can be submitted up to six months but no less than 21 days in advance. It’s awesome – see our tour here. Visit the monuments at sunrise. Start with the sun behind you at the Grant Memorial (just in front of the U.S. Capitol), and walk (or run) the 2 miles down to the Lincoln Memorial, passing the Washington Monument and the World War II Memorial along the way. Trek your way down the C&O Canal Towpath, which traces the Potomac from Georgetown to Cumberland, Md. It’s 185 miles and campgrounds along the way. Choose your segments and even cycle it if you wish. 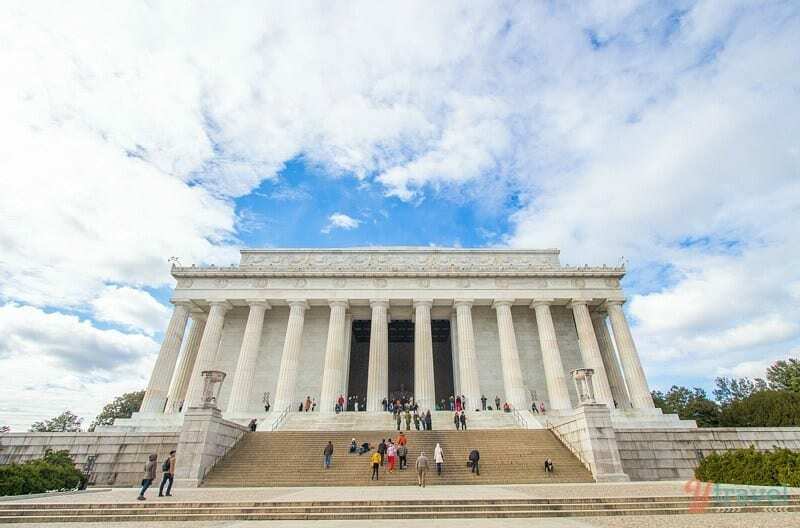 Visit Freedom Plaza across the street from the Willard InterContinental Washington, where Dr. Martin Luther King, Jr. wrote his famous “I Have a Dream” speech. Then head over to the Lincoln Memorial to stand where he delivered it. After that, visit the new Martin Luther King Jr. Memorial on the Tidal Basin. The memorial features a statue of the famous civil rights leader flanked by a wall featuring inscriptions of some of Dr. King’s most famous quotes. The Supreme Court is free. They have free 40-minute lectures in the main hall teaching you about the history of the court and how it works. See the Changing of the Guard ceremony at the Tomb of the Unknowns, Arlington National Cemetery. While there you can see the grave-sites of the Kennedy family. Enjoy a self-guided neighborhood walking tour by downloading maps from culturaltourismdc.org (available for your mobile device). The trails cover historic neighbourhoods (Adams Morgan, U Street and Barracks Row) and themes (Civil War to Civil Rights Downtown Heritage Trail). Signs en route feature stories, historic photos and maps. See the Cherry Blossoms. A spectacular photographic natural event if you visit D.C. during the months of March or April. The Tidal Basin has many cherry blossom trees, which were a gift from Japan to the United States. Their blossoming is marked by a celebration that includes concerts and fireworks. Kids will enjoy most of the activities and attractions we’ve listed in this post, but here are a few specific for them. The Pilgrim Observation Gallery at the National Cathedral has unobstructed 360-degree views. The Cathedral sits on one of the highest points in Washington. A scavenger hunt helps families find images in stained glass windows, wrought iron animals, tiny carvings and gargoyles. National Air and Space Museum is great for kids with a five-story-high IMAX theater screen, planetarium show, Sesame Street characters story times and model planes and rocket ships and many other interactive exhibits. National Zoo in Washington D.C. is FREE! Daily programs include animal training, feeding demonstrations, and keeper talks. Guided tours are also available. Tickets are $10 per person. Children under three are free. Tour Honest Abe’s summer home. President Lincoln’s Cottage gives an insight into the home life of a historic figure. Admission is $5 for kids. Once known as “Black Broadway,” this neighborhood remains a trove of the capital’s African American history. The infamous Ben’s Chili Bowl has inexpensive chili with a bit of history. The U-Street cafe has coffee starting at $2 and cheap eats. Eat in the student areas! 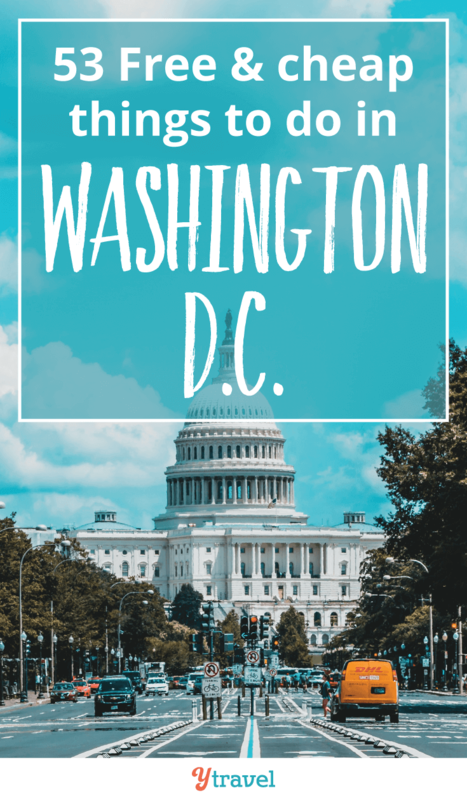 This is where you’ll find cheap food and there are plenty of student areas in D.C. We stayed near Foggy Bottom and found lots of cheap eating places, including our favourite Whole Foods. Georgetown and DuPont Circle are great places to find cheap eats in DC. Eat from the Food Trucks! D.C. has many food trucks within the city. 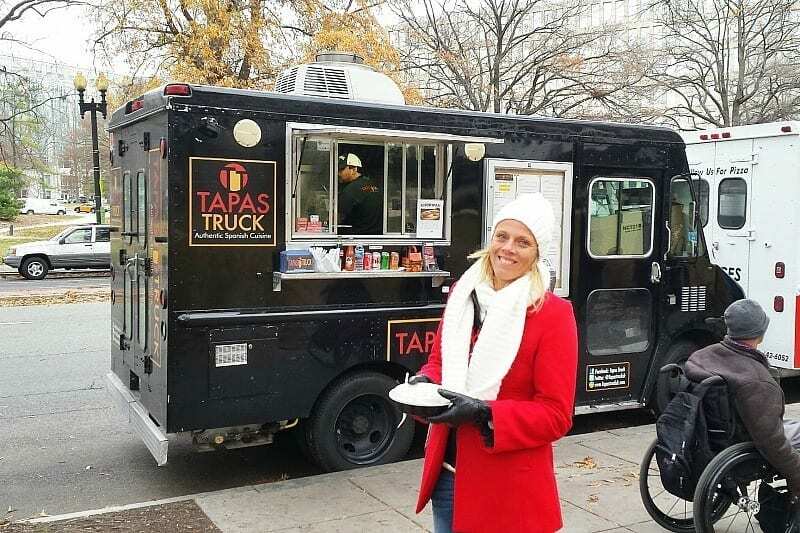 Good places to find the food trucks are around C Street, Farragut Square or Franklin Square. Barracks Row, on Eighth Street SE, a commercial strip that’s seen a bar-and-restaurant boom in recent years. There are several places on Barracks Row that will quench that thirst – and at fair prices. With $4 specials at Balkan restaurant Ambar, half-priced wine at Trattoria Alberto and Zest, and cheap pizzas and beer at the Ugly Mug. Even sushi has a happy hour in DC. Try Café Asia, where Nigiri is $1 a piece and maki rolls are discounted. A favourite event we loved when we lived in Raleigh was the monthly Art Gallery exhibition. It involves appreciating local artists work, as well as free wine, and sometimes cheese. DuPont Circle has one on the first Friday of every month. You get live music with the wine and art! Into baseball? Games at Washington Nationals can go for cheap, you just have to do some research to find the deals. Alternatively, Stub Hub is a great resource for finding sporting tickets in Washington D.C. for cheap. TICKETPLACE sells half-price advance and day-of tickets for theatre and the performing arts throughout DC. Ticket inventory changes daily and includes shows and performances at the Kennedy Center, Ford’s Theatre, Studio Theatre, Wolf Trap, Strathmore, Woolly Mammoth Theatre and more. The National Gallery of Arts sculpture garden hosts open air jazz fests every May to September. Pack a picnic. There’s sangria available for purchase. During the summer months, free outdoor movies in Washington D.C. have become popular and are offered at many places around the region. The Cultural Alliance offers half-price, day-of-show tickets to the public. Check the Smithsonian Institution for a schedule of their cultural offerings during your stay. Pay as little as $5 to catch French movies, discussions and wine tastings at the Alliance Française de Washington. Head to Meridian Hill Park on Sundays, (weather permitting) between 3 and 9 p.m. to hear the famous drum circle. For more than 40 years it’s been bringing people together from all different backgrounds to hear drum beats and watch African dancing. For a hands-on experience, bring your own drum and join in. Rates for Washington hotels usually drop in April and August when the Congress is away on recess. You can jag a flash hotel for up to 50% off. Low-cost hotels are available on weekends (and less traffic) as the bureaucrats and business people leave the city. Stay in North Virginia and take the Metro to D.C.
Book a Washington Hotel that is in walking distance to the Metro. Priceline can get you some great deals. Don’t forget our fave Airbnb. 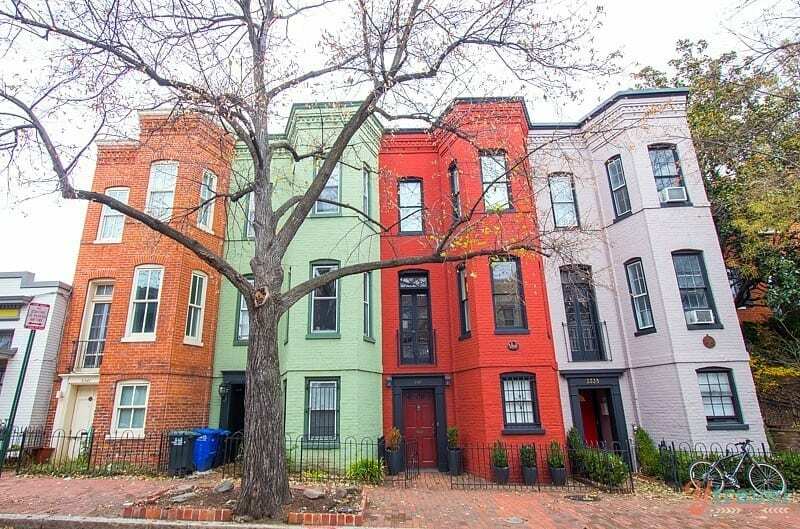 You can find DC rentals here. 5A bus from Dulles Airport to L’Efant Plaza station for only $7. Spend just $5 per vehicle, or $3 a person if you go on bike, via the C&O Canal Trail to explore nature in Great Falls Park. These 800 acres of beautiful parkland with green space, cascading rapids and waterfalls are located just beyond the Beltway. The DC Circulator offers bus connections between Georgetown, Union Station, the Walter E. Washington Convention Centre, DuPont Circle, the National Mall and several other popular stops for just $1 per ride, or $3 for an all-day pass. Wow! 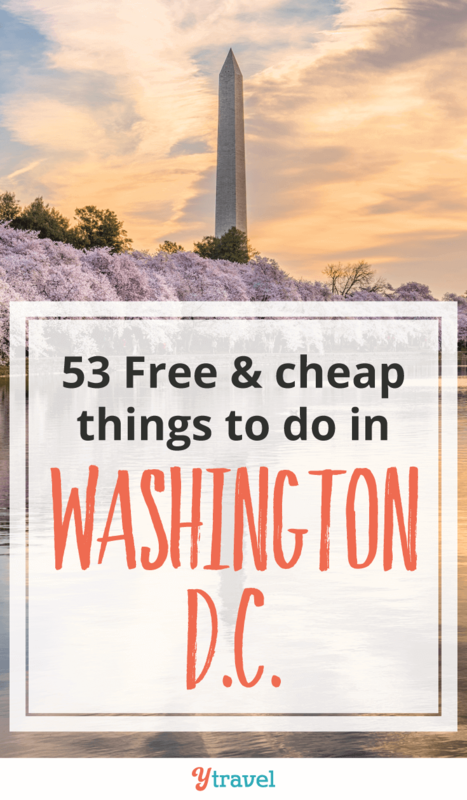 Isn’t there are a crazy amount of free or cheap things to do in Washington D.C? For city tours of Washington D.C. click here. Booking.com has 700,000+ hotels, apartments and hostels worldwide. You get free cancellation on most rooms and a best price guarantee. You can also rent an Airbnb home here. Do you have any tips for free things to do in Washington D.C. Share in the comments. We loved DC. I’m sure you will too! Good one! Very nicely placed. I didn’t know that there are so many things to do for free in Washington. And the your budget can be roll by you and not by city. Good one! I stay in Dallas and had never though visiting our capital can be so much fun (and cheap too! )..Since you are in Australia, flying to the US means around 20-24 hours of travelling and that is really too much as tourists can get terrible jet lag. I have just written an article on tips on how to overcome jet lag and wanted to share it with your readers. Hope they like it and benefit from it. One of the suggestions to stay in NoVA instead of in the city seems good. However, don’t you think that staying out of the city detracts from the experience? I usually like paying a extra just so I can stay in the action. Thoughts? I love the history of DC and have visited numerous times, but if you want to do a touch of shopping for a change of pace, I can highly recommend Pentagon City (train arrives directly underneath mall). Yep, incredible history for sure. Thanks for the suggestion on Pentagon City Narelle! I lived in nearby Fredericksburg, VA for 8 years and I am ashamed to admit after many visits to DC with our kids and visiting family that we have never been to many of these places. It always seemed like we stuck to the big monuments and the typical tourist fare… I need to go back armed with your list here, great tips. Glad this was helpful Jen. Very well thought out list! I’ve had the pleasure of visiting the US in 2010, and Washington DC was one of our stops. Apart from stalking the President in the White House (from afar, of course) and visiting the very famous monuments I was amazed at how much there was to see and do in DC. Great post…!! Washington is really such an amazing place i never been there but few day ago my some friends came from there. they told me about washington, there are lot of places and many more attractions to have fun and The food was also amazing there. they enjoyed the trip. After that i’m so excited to travel Washington and that become my dream destination.